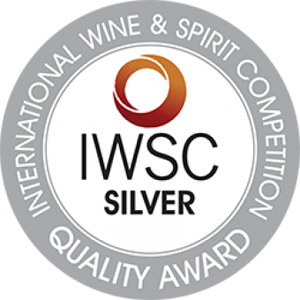 The Penderyn Single Malt Madeira is the leading product of the Welsh distillery, winner of the IWC gold medal in 2012. Matured in ex-bourbon barrels and finished in barrels that previously contained Madeira wine, this process gives whiskey a taste Generous and a subtle complexity. THE WHISKY The nose is sweet and medium body with notes of caramel, vanilla and raisins. On the palate it is fresh and full of notes of spice and Custard cake. The finish is pretty persistent with notes of tropical fruit, vanilla and raisins. THE DISTILLERY Penderyn Distillery is a young Welsh distillery, the first distillery in Wales, located in the homonymous hamlet of Penderyn, from which it is named. It was founded in 2000 by the Welsh Whiskey Company. The first distillation took place in September of the same year, while the first bottle was marketed four years later. The distillery uses a unique distillation system in the world: a single copper dome surmounted by a distillation column. The maturations take place in two types of barrels: in the first stage in barrels previously used for bourbon and in the second stage in barriques used for producing the madeira. Before 64,29 € tax incl. The nose is sweet and medium body with notes of caramel, vanilla and raisins. On the palate it is fresh and full of notes of spice and Custard cake. The finish is pretty persistent with notes of tropical fruit, vanilla and raisins. 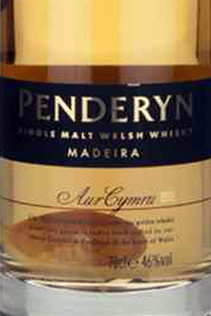 Penderyn Distillery is a young Welsh distillery, the first distillery in Wales, located in the homonymous hamlet of Penderyn, from which it is named. It was founded in 2000 by the Welsh Whiskey Company. The first distillation took place in September of the same year, while the first bottle was marketed four years later. The distillery uses a unique distillation system in the world: a single copper dome surmounted by a distillation column. The maturations take place in two types of barrels: in the first stage in barrels previously used for bourbon and in the second stage in barriques used for producing the madeira.